XUV300 can be fitted with front parking sensors, tyre pressure monitoring system and LED DRLs as accessories. Vast choice of additional chrome accents on the exterior of the new XUV300. Variety of seat covers in different designs and materials also available. Mahindra has launched the new XUV300 at a starting price of Rs 7.90 lakh (ex-showroom, India). It is offered in four variants - W4, W6, W8 and W8(O). 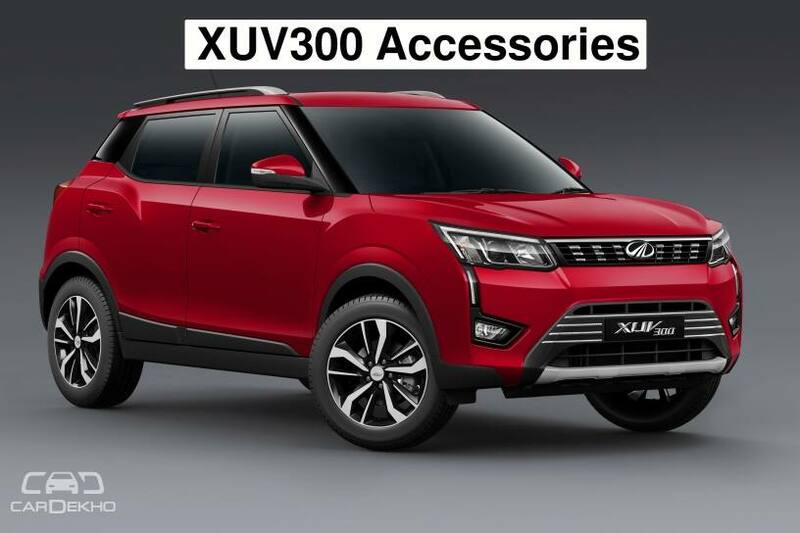 While this new sub-4m SUV boasts of various segment-first features, Mahindra also offers a wide range of accessories for customers to personalise their XUV300s. Planning to buy the XUV300? Which of these accessories would you want to get fitted on your car? Let us and other prospective buyers know your choice in the comments section below.